Home > Lapland > Where is Lapland? 21 Nov Where is Lapland? If winter is your favourite season and you want to offer yourself a memorable vacation during the next few months, it’s time to start planning your ultimate escape to magical Lapland. You are probably wondering where Lapland is, what the things you can do in this region are, and how to get there from Ireland. To answer all these questions, just continue reading our primer on Lapland. Did you know that Lapland is where Santa has his official residence? So, if you are a nostalgic adult or plan to travel with a bunch of excited children, this is your perfect destination. But there is more about this region than Santa Claus village. Though it doesn’t offer too many historical sites to explore, Lapland has an interesting story. It is believed that around 7000 years ago, after the Scandinavian ice caps started to melt, this region was first inhabited by the Sami people, alongside with other indigenous peoples. One of the oldest practices was reindeer herding, and rock carvings that can be traced back to thousands of years ago confirm that. Even more interesting is the fact that this practice is still alive in the area today. If you are a history lover, you will likely browse the internet and find information about the past of Lapland before your holiday. And once you get there, you are bound to visit the interesting museums in the area and interact with the friendly locals who can tell you more about their story. So, Where Exactly Does Santa Live? You already know that Lapland is known for being the place where Santa, his kind wife, helpful elves and charming reindeer live. But where is this place exactly? Lapland is Northern Europe’s most magical region, spreading across the northern parts of Finland, Norway, Sweden and even Russia. 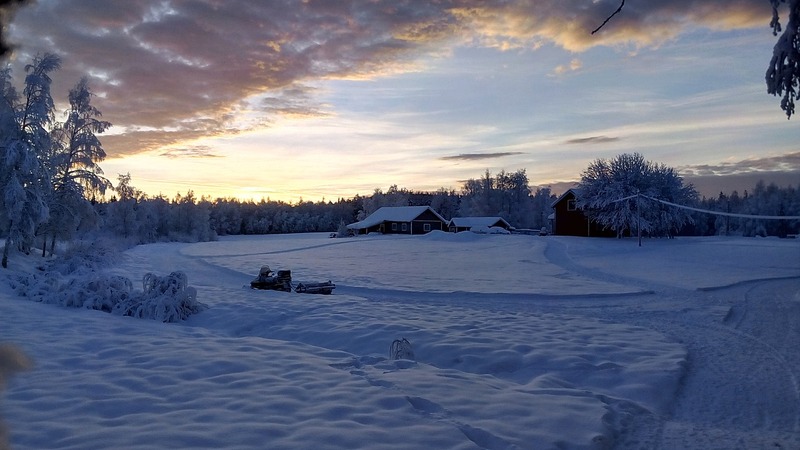 But most of it is located in Finland though, and it is waiting for you with its cold winter weather, its never-ending fields of snow, and, of course, the magic that is Santa’s house and home. So, if you want to fulfil your childhood dream and meet the cheerful man that used to bring you presents on Christmas Eve, you can do that by visiting Rovaniemi, the most famous town in Lapland. The list of things to see and activities to enjoy in Lapland is longer than many expect. For instance, happy adults and children can spend their vacation days exploring the magic that surrounds Santa’s Village, while adrenaline seekers have the chance to indulge in thrilling winter activities, such as snowmobile safaris, reindeer rides, and other unforgettable excursions. If you are passionate about natural phenomena, you can adventure into hunting for the spectacular Aurora Borealis. There are many great spots in Lapland from where you can admire this incredible show of lights. And if you want to amaze your kids, take them to the famous Elf’s Farm Yard, a lovely petting zoo where they can play with domestic animals, enjoy snow sliding and many other interesting activities. If you plan to travel to Lapland from Ireland, you should expect a short flight of 3 to 3 and a half hours. The most popular airport is Rovaniemi, especially for travellers who want to visit Santa’s Village. However, you can also arrive at the Kittila airport. Before you begin this adventure, you should know that it’s going to be very cold in Lapland. Though late November and early December might be a bit warmer, the average temperatures range from -5C to -25C, but it can get worse. There had been days with lows of -45C, so prepare yourself, pack thermal garments, and get used to wrapping up warmly in light layers at all times. You might also want to know that there won’t be too much natural light. The atmosphere is beautiful and cosy because all the resorts are illuminated with candles, outdoor fires, and lanterns. But each day will only have about five hours of daylight, a light slightly darker than what we have in Ireland. But then again, who needs light when you have magic all around? 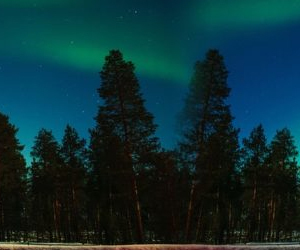 Prepare yourself for a different kind of holiday than you are used to – both the natural phenomena and the distinct climate make Lapland such a unique destination, so make sure you are familiar with what you can expect, and be prepared to be awed every step of the way.